Help us raise money for the Pedal for Alzheimer's for the Alzheimer's Research Initiative at the University of Tennessee Medical Center. Friday October 5th, we are participating in our Walk for Pat Summitt Walk-a-thon. This is a walk-a-thon to raise awareness and money for the Alzheimer’s Research at the University of Tennessee. Last year our goal was to raise $1,098 and we surpassed that raising $1,200 out of the 2,200 raised in Cheatham Co! 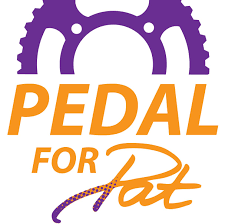 Help us support our hometown hero Pat Summitt in the search to find a cure for Alzheimer’s. Tickets are $1.00 for students to join. Top donor will get a lunch of choice from Ashland City.